In this example, vBulletin is in my root installation. Some people have vBulletin in root/forum. Gorillaz/Upload Contents/Images/gorillaz : you will want to upload the gorillaz folder to the /images folder in your ftp. So after every theme and it’s images folder inside the theme, you want to upload that next folder which is usually the name of the theme in lowercase. Tip: You can get all the themes uploaded very fast if you go into each zipped folder from the download and transfer the theme folders like “gorillaz” into the images directory all at once. 5. 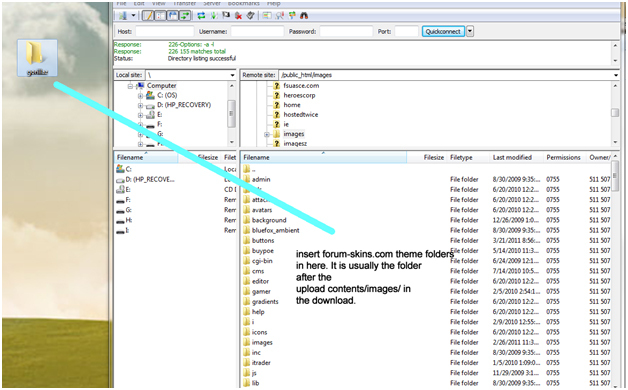 Go to styles and templates > Download / Upload Styles > Import Style XML File > Browse for the .xml included in the zip folder. It will not be in the upload contents. 7. 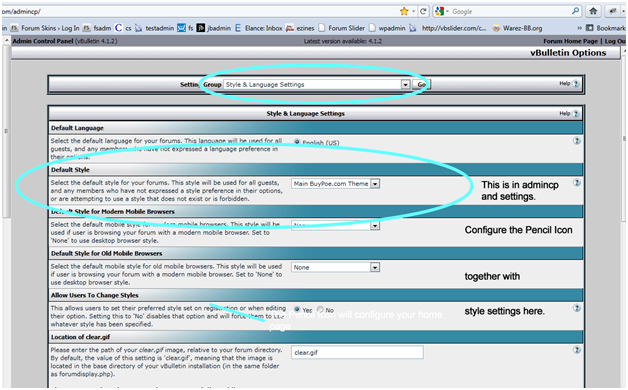 Verify that it works by going to style manager > clicking on the new theme. 8. If your using a Suite vBulletin version, you will need to click on the pencil icon for the Home to take the looks of the forum and blogs. So click on the pencil icon if you hover near the Headlines area. Then go to style > inherit or pick the style you want. 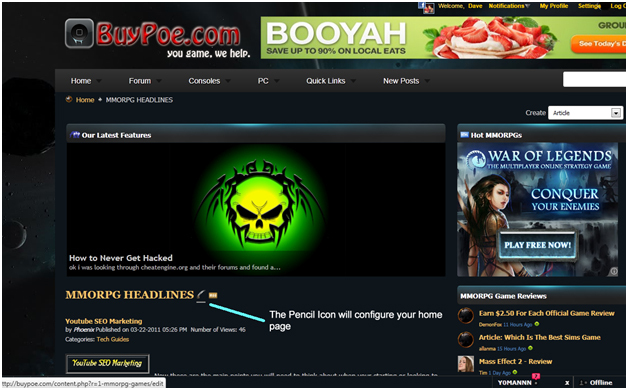 Upgrading a theme is very similar to installing a theme of forum-skins.com. Proceed with the same instructions. Go into stylevars > imagespath > titleimage > and configure accordingly. Two Themes are added every month usually. Please keep an eye on that. For general theme questions, please ask your questions in the forums. Usually there the question is already answered in there. If not, I will try my best to get to it and answer it. The images from the theme are not showing up on my website?